Yakuza Kiwami is ranked in the 86th percentile of games scored on OpenCritic. But besides all this, it is simply a good time. And there is an unmistakable, open-hearted joy to fixing problems for people as an intimidating agony uncle. Even if it usually involves hitting them with a bike first. Kiwami has a much smaller scope than something like Yakuza 0 but I think that also gives it a lot of focus. While the series is now famous for side quests and random activities, Kiwami has a focus and drive to it that I really enjoyed by the end. For those itching to spend more time with Kazuma Kiryu following Yakuza 0, Kiwami is exactly what you’ve been waiting for and an essential purchase. If you happen to be looking to start the series, it’s hard to recommend Yakuza Kiwami over its immediate predecessor. Careful research, great character writing, and a stunning feeling of being true-to-life carried the original game far, and Yakuza Kiwami marries those qualities to more refined gameplay and slick HD graphics. Yakuza Kiwami in an amazing remake. Not only did they take the time to polish the game for current generation hardware, but they also took the time to see the flaws that the original game had and obliterate them to make a more perfect product. Yakuza Kiwami is positioned as a perfect jumping on point for newcomers just now discovering Sega’s gang-centric criminal drama. Series veterans will still find plenty to love in the carefully handcrafted remake of Kazuma Kiryu’s first appearance, with a wealth of new and enticing content. Regardless of which category you find yourself a part of, Yakuza Kiwami is hands down one of the finest remakes ever made of an already extraordinary game and provides an experience that you would be hard-pressed to find elsewhere. Yakuza Kiwami honestly rides on the thin line between remake and reimagining of a classic game. 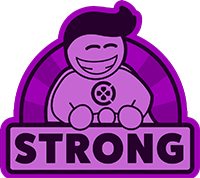 It keeps all of the original story beats and brings the games visuals into the modern-day while incorporating a lot of the newer games mechanics without hampering the original games integrity. This game is honestly the best way to experience the original Yakuza. I really can't recommend this title enough. It may not hit as high as Zero did, but it does a damned fine job modernizing a game that fans fell in love with a decade ago. Tack that on with a budget price and an abundance of gameplay, and you'll be finding yourself among the ranks of Yakuza fans, as I have. Yakuza Kiwami is an excellent point of entry for newcomers and an awesome follow-up for those that played Yakuza 0, and it is also the best way to know how everything began or to relive how Kiryu's saga started. Kiwami is a tighter experience when compared to other Yakuza games, since it focuses in its crime story. 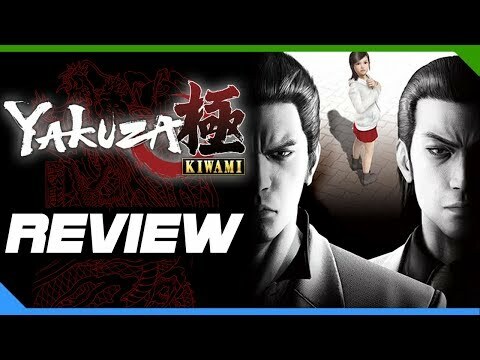 Kiwami doesn't level up to Yakuza 0, however, it is an excellent game within the series and a must-play for any player. Yakuza Kiwami is a worthy follow up to Yakuza 0, and a top-notch remake of the entry title into the Yakuza franchise. Majimi Everywhere is a great inclusion, adding substance and random elements to just running around the city to the narrative waypoints. Side stories feel a bit dated, but there are more than enough worthwhile ones that you'll enjoy. SEGA's ... given us all something completely modern and "new" to play, and the entire Yakuza series continues to go from strength to strength. Yakuza Kiwami manages to be a great value for money purchase. A solid narrative, fantastic combat, and a plethora of activities to partake in make it an easy recommendation for long-time fans and newbies alike. As a relatively new fan to the franchise, Yakuza Kiwami offers another fantastic journey in the life of Kazuma Kiryu. From the serious to the outright wacky and perverted, I loved every second and thoroughly look forward to the next chapter in the experience. In essence, Kiwami is a remake of the original Yakuza, released for PS2 in 2005. Rather than porting, Sega has pushed the story into the new engine, giving the feel of the newer games but retaining most of the narrative from the original. For those who have not played Yakuza before, this means you take on the role of Kazuma Kiryu, a member of the Tojo Clan who spends far less time being a yakuza than you would think in a game with the word in its title. For fans of the series, the game is like a loveletter, taking Kiryu's first story, and reimagining it with modern sensibilities. 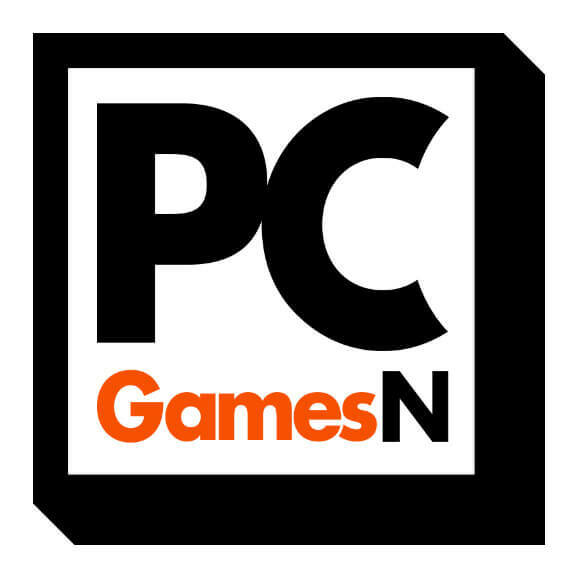 For newcomers, this game represents the best place to jump in- it's a far better product than Yakuza 0, which was great in and of itself to begin with. Yakuza Kiwami remakes the original game in a near-perfect way. Yakuza Kiwami was like a rollercoaster ride with the most satisfying combat, the mini games were fun and exploring Kamuroch was a blast. There’s never been a better time to try out the Yakuza series and Kiwami is definitely the best game to start with. Yakuza Kiwami is a dazzling remake of an underappreciated classic, improving upon its source material in so many important ways. At times it can feel dated, but that doesn't stop Kiwami from proving Yakuza is once again one of the best things on PS4, and perhaps any other platform. Yakuza Kiwami is a remake of the original Yakuza game, which was released on Playstation 2 nearly 12 years ago, but it may as well be regarded as its own entity. Yakuza Kiwami is a fully done remake – with all new textures, extended stories, and more depth and cohesion than the original Yakuza could have dreamed of – so it’s not to be confused with a general remaster (*cough Sleeping Dogs *cough*). Until then, I will keep my fingers crossed, because the only thing better than a fantastic remake of a beloved game, is two fantastic remakes of two beloved games. Yet, whether the sequel will come or not, Yakuza Kiwami will go down in history as one of the best remakes ever created, for a game that was already great on PS2. Yakuza Kiwami is a polished and exceptionally fun game with a fantastic and moving storyline. Yakuza Kiwami represents the pinnacle of the series, with Sega bringing everything it has learned over the years and refining it into a single neat package. The result is a unique and unforgettable experience that far outstrips what was presented in the original entry. This is what a remake should be. Kiwami doesn’t replace the original. The original Yakuza is an interesting retrospective, featuring a somewhat more down-to-Earth depiction of Kamurocho. However, Kiwami serves as a brilliant follow-up to Yakuza 0 in its own right. It was honestly really hard to put down in order to even write this review. Yakuza Kiwami is just an absolute blast. Twelve years after its original release on PS2, Yakuza Kiwami is still a great adventure set in modern Japan. Some mechanics such as invisible walls or certain fighting elements feel outdated, but the story, setting and minigames are awesome. Twelve years ago, in 2005 to be more exact, SEGA launched a game on the market based on the fearsome mafias that hit the Japanese slums, it was a game with an excellent story and an impeccable narrative that combined hand to hand combat, excellent graphics and endearing characters in a solid package that started a successful saga that remains in force until now. Yakuza Kiwami is everything a proper remaster should be. Instead of just plainly expanding ratios, this 10th anniversary version of the adventures of Kazuma Kiryu is a success in every aspect, with a complete rework visual and audio, new activities and minigames, a modernized combat system and more than 30 minutes of new cinematic features, Yakuza Kiwami is what other publishers should follow when trying to revive their old icons. Even if it can't quite measure up to Yakuza 0's near-perfection, Yakuza Kiwami is still a thoroughly enjoyable experience for series veterans and newcomers alike. Despite Yakuza Kiwami sharing a near perfect reflection of 80's Kamurocho from Yakuza 0, there's still an important story to tell. The city of Kamurocho welcomes all with a wide array of minigames, sidequests, and the most Majima cameos of any Yakuza title to date. Long time franchise fans and newcomers will find plenty to like with Yakuza Kiwami, even if it falls slightly short of its later entries. A concise and emotional story that cuts out the filler and perfectly mixes in varied and interesting combat. At its core, Yakuza Kiwami is still a PlayStation 2 game, but its short and sweet nature doesn't hold it back in the long run. Some signs of aging are inevitable counting the 12 years from the original game, but nowadays few remakes are well done like Yakuza Kiwami. Yakuza Kiwami shows how developers should remaster their games. It's better than the original in every aspect and that makes a must-have even if you're not a fan of the series. If you are a fan of the series or not, Yakuza Kiwami is a title that you must play to (re)discover the origins of Kazuma Kiryu: the legendary Dragon of Dojima. This newcomer thinks that Yakuza Kiwami is a blast. I can't speak to how different it is from the first game, but the sheer amount of content and personality makes it worth checking out. Though the fights could get repetitive at times, the combat system kept things interesting on the whole. Yakuza is a niche series and it’s definitely an acquired taste, but if it hooks you it’s unlikely to ever let you go. The story is addictive and keeps you at the edge of the seat. The general exploration and content is a step back from Yakuza 0 but the game is still a blast to play if you interested in more Yakuza games. Yakuza Kiwami does a whole lot right, while only making a few errors. Other than the control scheme being a bit dated, Yakuza Kiwami comes together as a solid remake of the original title. The start was always the best, and this extreme edition is a reminder of how fantastic this series has always been. As a remake, Kiwami is a triumphant success. Not only is it leaps and bounds more playable than the PS2 original, the additional scenes help flesh out character motivations. This all makes the story of Kiryu's rise feel more special, and it's a perfect continuation for those who recently played Yakuza 0. There are some disappointments, though, as just roaming around Kamurocho feels like a step backwards from previous games that featured multiple cities to explore, but that's just an unfortunate side-effect of being a remake of a much-less ambitious title. The new bells and whistles make Yakuza Kiwami a worthwhile time no matter if you've played the original or not. Yakuza Kiwami isn't the most innovative game under the sun, but it builds on such a solid foundation it's still definitely worth playing. However, due to the lower budget and slavish devotion to the decade old original game, it doesn't quite hold up to Yakuza 0. Early on in the game, you're told that Kiwami means “Extreme”. While this isn't an extreme makeover, Yakuza Kiwami is an extremely good retelling of an underrated PS2 gem. Yakuza Kiwami is a blast! Play as the no-nonsense badass Kazuma Kiryu as you take back your city. Be the hero and you crush enemies or spend your time eating and visiting the racetrack, the options are all yours. The combat and story come together perfectly to make a game you will not want to put down. If you are looking for something completely over the top, then you will love Yakuza Kiwami. Yakuza Kiwami is a fantastic remake that effortlessly immerses you in the world of Kamurocho, Tokyo. Lovingly overwork of a classic with chic technique, but also a few minor flaws. If you've never played a Yakuza game before then Yakuza Kiwami is a great place to start. Yakuza Kiwami is an extremely faithful remaster of 2005 classic Yakuza, complete with generous visuals and a new mode that diversifies the awesome combat. If you like absurd humour, tight narrative, Tekken Tag synths and punishing combos, this game should definitely be on your radar. While the narrative isn’t as clear-cut as it was in Yakuza 0 and the fact that this is a true-to-life remake of the original game will mean it may not be as exciting as some of the more recent outings in the franchise, the classic re-telling of how everything came to be and the addictive gameplay is enough for fans of the series to give this a go. If you haven’t played Yakuza 0 yet, I strongly suggest starting there. But if you have played 0, what are you waiting for? Continue Kiryu’s story and let Sega know we want Yakuza Kiwami 2 localized as quick as possible in English after it releases in Japan at the end of this year! Yakuza Kiwami is a brilliant, beautiful, and brutal remake of one of Sega's finest action RPGs, now available on PC with a host of graphical options. Yakuza Kiwami has been another great addition to a series with nothing but great games. While I would say that its high notes aren’t as good as Yakuza 0’s, this can be excused for the most part as it technically is the first game of the series. Either way this game will please fans new and old so don’t miss out on it! I can’t really knock the game down too much for being what it set out to be - a faithful re-imagining of an eastern classic. This is the standard for which all remastered game releases should aim. Slip into your suit and ready your fists: Yakuza Kiwami is a fantastic remaster of the game that spawned a franchise, and a timely dose of wackiness before Yakuza 6 drops next year. On one hand, playing Kiwami was like returning to visit an old friend, on the other it was like playing it for the first time. Scenes that made an impression and stuck with me, such as my breathless escape from a funeral gone wrong, thrilled me as much now as it did the first time. Yakuza Kiwami is a worthy remake of the original game, but may leave fans hungry for more side content and minigames. With Yakuza Kiwami, SEGA have brought the series starting point up to a modern standard and created the perfectly jumping in point for the series. Yakuza Kiwami follows hot on the heels of the prequal and save for a much more compact narrative nothing is drastically different and that's perfect. Yakuza is still the undisputed king of punching bad people in the face very hard and with more Yakuza games potentially on the horizon, it's never been a better time to flex Kiryu's muscles. Yakuza Kiwami is a welcome retelling of the original that helps bring in new folks to the fold while giving fans another opportunity to enjoy the game that started it all. Some aspects of the game haven’t aged quite as well even with the new coat of paint. 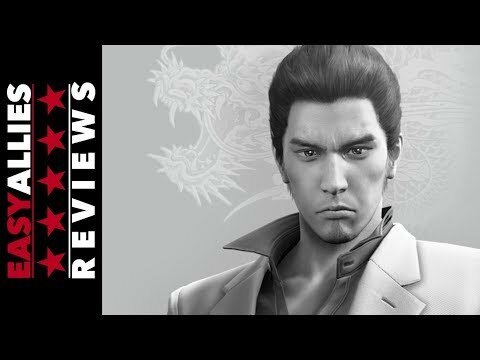 A compelling story and setting, however, combined with memorable characters and an affordable price to boot makes Kiwami a welcome blast from the past that arrives just in time. Kiwami holds a ton of appeal for anyone coming hot off of Yakuza Zero, but there's ample reason for longtime fans to jump in, and it's even a fine starting point for new players as well. Despite the slow starting hours, once Kiwami and Kazuma Kiryu grab hold of your attention, they don't easily let go. Sega remastered the original Yakuza in high style. Using an updated engine, the team behind the series added new character models, re-recorded voice acting, and an expanded city of Kamurocho, all in 1080p at 60 fps. Yakuza Kiwami bleeds love for the original game. If you haven't played any Yakuza, this is the release to get. If you have, this is a great remaster of a former cult-favorite. It's not as full-featured as current Yakuza release, but it's still a great time. Yakuza Kiwami is the perfect game for those who never played a Yakuza before. The new graphics and control are a nice way to enter in the life o Kiryu. Yakuza Kiwami is a perfect example of a remake done right. The news graphics and added content give longtime fans of the series more than enough reasons to dive right back in Kamurocho's seedy underworld. And for new fans and curious gamers, Yakuza Kiwami is the perfect way to discover Kazuma Kiryu's first misadventures. Temper your expectations and take on board that Yakuza Kiwami is a remake of a game that's over 10 years years old and you'll enjoy it for what it is – more of the same, only not quite as polished and with less to do on the side. Yakuza Kiwami is an exceptional game with exceptional action and exceptional stories. There are so many things to do and experience here that $30 for Yakuza Kiwami feels almost like highway robbery. Throw in Yakuza 0 and you are set for about 100 hours of great gaming. For the most part, Kiwami is a good retelling of the very first game and arguably has the best story out of the entire series. A fantastic jumping on point for newcomers and appealing to long time fans as well. Prepare for a night on the town with Kamurocho's finest. Yakuza Kiwami is great, then keeps being great, then continues being great to the point where you're tired of it. If Yakuza 0 didn't exist, we would probably rate Yakuza Kiwami higher. But we're in kind of strange situation right now: before playing Kiwami, you should finish the prequel, but because of that you will be left with a game of smaller scale and a bit worse quality. Really, you can't go wrong with Kiwami. I would have liked it if every aspect of the game had been fully redone, but we don't see remakes like this come along often. I can deal with a few stumbling blocks when the core quality of what makes Yakuza so unique and engaging remains untouched. At least now more people can have a chance to experience this classic, which is the best thing about Kiwami's existence. Yakuza Kiwami presents the strongest mechanics in the franchise's history, as well as refined side missions and lots of fun distractions that create a fantastic reimagining of a great game. Yakuza Kiwami is a great game. Certainly not everybody’s cup of tea, especially those that aren’t a fan of Japanese culture or media in languages other than English. But I thoroughly enjoyed my time spent with Yakuza Kiwami. While not as long as other games in the Yakuza franchise, it’s great story and substories(side quests) combined with it being the perfect jumping on point for anyone looking to dive into the series for the first time make it well worth the asking price. An absurdly good game. The story, the world, the characters, and the distractions all add up to one thing: immersion. This is the type of game to invest tons of time in, and for those new to the franchise, it's all the better because there are so many other Yakuza titles waiting to be played! For returning fans, Yakuza: Kiwami gives the inaugural game new life. It's been long enough removed from the original release to feel special again, and, even better, it is released at a budget price. In fact, it's a shame that only the first title has received this remaster, but with some "big announcements" coming this month, hopefully, the others in the series will see similar rereleases on PlayStation 4. Until then, dig out those PlayStation 2s and 3s and get cracking on the rest of Kiryu's story. There may just be time to catch up before Yakuza 6 - billed the finale of Kiryu's story - arrives next March in the West. Yakuza Kiwami is an excellent remake of the cult classic PS2 game, with completely redesigned graphics, a new soundtrack and updated mechanics. Unfortunately, developers failed to completely get rid of the shortcomings of the original, which are expressed in navigation problem in the middle of the game and a small variety of locations. Nevertheless, incredibly charismatic characters and an interesting plot make this game very memorable. It may not be on the same scale as 0 but Yakuza Kiwami still hits those highs. The retelling of Kazuma Kiryu's original outing shows some of the source material's age while still maintaining a quality overall experience. A great entry that is equally enjoyable for those new to the series and those who played the original, with enough enhancements and additions to make it worth experiencing or revisiting. Yakuza Kiwami is the first of several planned remakes of the original series, and chances are all of them will wind up on the PC at some point. It's been a long wait for many to see such a revered classic on the PC, but it's one that's worth every bit of that patience. Yakuza Kiwami is an excellent upgrade of the first game in the long-running Yakuza series and a must-have on PlayStation 4. It might feel shorter for those of you who first got a taste of the series with either Yakuza 5 or Yakuza 0, but this release is faithful to the original on PlayStation 2, with revamped graphics and frame rate, content that was missing from the game when it arrived on PS2 back in the day, as well as additional content, all for only $29.99. I really enjoyed my time with Yakuza Kiwami, and look forward to playing Yakuza 6, as well as the recently announced Yakuza Kiwami 2. Yakuza Kiwami picks up where Yakuza Zero left off, upholding its dramatic storytelling, offbeat humor, and flashy yet frustrating combat. Sega reminds us that, with Yakuza Kiwami, not only is its heart in the right place, but it hasn’t missed a beat. In my opinion, the reason Kiwami works so well is it’s narrative and characters. Otherwise, the frustrating combat and stiff controls wouldn’t feel worth the effort. Yakuza Kiwami may not have gameplay as varied as Yakuza 0 but the gripping story, solid combat, and rewarding progression make it a must-play experience for both new and long-time fans looking to either discover or revisit Kiryu's debut adventure. I certainly did enjoy Yakuza: Kiwami as my first visit of the franchise and look forward to hopefully playing more down the road. Yakuza Kiwami is a solid remake that has the misfortune of being released in the same year as the predecessor from which it recycles most of its content. Yakuza 0 is just a better game in almost every way. Kiwami's story is plenty of fun, and the writing and side content remains as hilarious as ever. It just feels too familiar. Those looking for more Yakuza will find a lot to like here, but even at a budget price of $30, it's difficult to feel excited by any of it. Give it more time to breathe, and it'll be a fun way to re-experience Yakuza, but anyone who dives in immediately after Yakuza 0 is going to have a very severe case of déjà vu. despite its drastic aging, Yakuza Kiwami is a welcoming game to both new comers and old fans. the game has been beautifully remastered and many of its elements have severely changed to be appealing to new comers. For fans of the series Yakuza Kiwai delivers a high class adventure, with crazy story telling and colorful characters. For everyone else? It's Yakuza – and if you haven't played it before Yakuza Kiwai is a good one to start with. There are two kinds of players that Yakuza Kiwami should interest — existing Yakuza fans that want to give the first game a visit, and the gamers who’ve heard great things about Yakuza but never gave it a chance. When it comes to these two audiences, Sega hit it right out of the park with this remake especially with the game’s $30 price point. Yakuza Kiwami makes it clear just how far the series has come, and just how far it still has to go. It's keenly designed to bring newly minted Yakuza fans more firmly into the fold by providing all the contemporary comforts they might expect, while also giving longtime fans more to chew on than a shot-for-shot remake ever would have. It's a patchwork, for better and for worse, and as much as I enjoyed my time with it, there's no denying that some of those patches are looking more tired than others. And a frustration-free Yakuza Kiwami experience means more time spent at one of the many hostess bars. Yakuza Kiwami is a stripped-down, basic version of a winning formula, but there's no denying it still wins. It's great that the remake of Yakuza made it over here, but it releases at a strange time in terms of the history of the Yakuza series. However, for the asking price of thirty dollars, I did get a lot more out of it than what I was expecting. It is a much needed entry point into a series that has made its own mark in the industry as a more melancholic and measured crime experience. A game that ate up forty hours of my time and had my attention, even when I was having conversations with a club hostess, picking up spares, or smashing the teeth out of some punk with a baseball bat. If you've wanted to get into the series before but didn't know where to start, this is the game you've been waiting for. Yakuza Kiwami finds itself in a strange position. A remake that's technically a sequel to a much better game in Yakuza 0, it struggles to offer anything besides another engaging crime-drama storyline. Best described as a kind of expansion, Kiwami really shows its age in terms of narrative structure and gameplay design, but it's still worth playing through if you just can't get enough of Kaz. It goes without saying, however, that series newcomers are much better off starting with the far superior Yakuza 0.